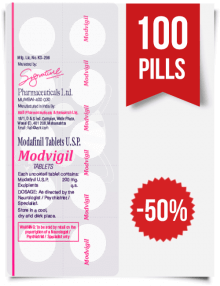 Since its discovery, Modafinil has become one of the most famous drugs in the world. It was initially approved to treat sleep-related diseases, and it is often prescribed for patients with such disorders. On the other hand, its remarkable ability to amplify wakefulness and alertness without cardiovascular adverse reactions makes this drug a candidate for further investigation of its additional uses. This medicine turned to be an effective cognitive enhancer and gained the fame of a safe and powerful mental booster. 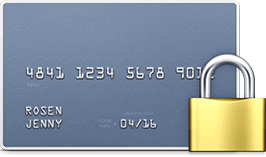 Currently, it is also used outside of recommendations given by the Food and Drug Administration (FDA). Its off-label use originates from the experience of nurse practitioners and doctors, who disclose new drug features when dealing with patients directly. Most health care practitioners recommend Modafinil for other therapeutic purposes, which require deeper and more thorough research. The drug contains an active substance, modafinil, and it is widely used to treat obstructive sleep apnea, shift work sleep disorders and narcolepsy. Modafinil successfully copes with fatigue and daytime sleepiness as side effects caused by various diseases, like thyroid malfunction or Parkinson’s. Later, scientists noticed that this medicine also helps the human brain to work faster and better. 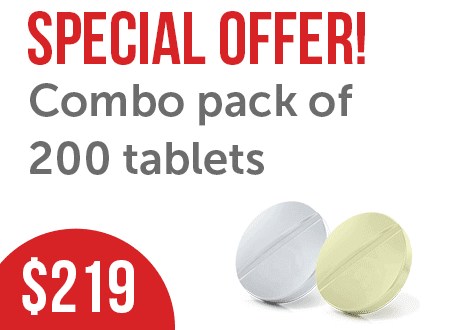 Due to these effects, Modafinil is now considered one of the most popular and secure “smart drugs”. It develops memory, amplifies the learning process, improves attention and focus, etc. Modafinil’s mechanism of work has not been properly studied. Most researchers report that it works as a dopamine reuptake inhibitor. It triggers various brain processes and increases levels of glutamate, histamine, and noradrenaline neurotransmitters. This nootropic leads to enhanced motivation, mood elevation, and a natural sense of being awake. The drug mildly increases serotonin levels and creates euphoric effects. It is known to alter human perception and feelings, acting as a central nervous system (CNS) stimulant. 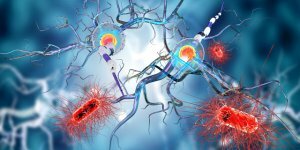 In addition, this medicine improves communication between neurons (electrical coupling) and prevents their death, performing a neuroprotective function. Discussing Modafinil dependence and tolerance, it should be mentioned that it has a low risk of becoming addictive. Unlike other stimulants, the cases of its withdrawal and abuse are rare. 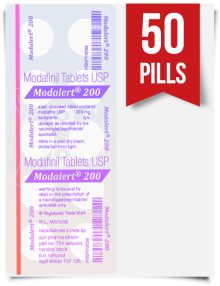 As a rule, Modafinil is well-endured and may cause slight side effects such as headaches, anxiety, insomnia, etc. The armed forces of most countries have expressed interest in Modafinil as a possible alternative to amphetamines. Amphetamines are traditionally used in combat situations where military troops have to withstand sleep deprivation during exhausting and long missions. The French and English government reported that they used Modafinil during some covert operations and spent big money for its investigation. The success of military aviation missions depends on performing continuous round-the-clock operations. Pilots are given stimulants to maintain alertness, risk perception, judgment, and cognitive functions. In the US Army, Modafinil was approved to be used in some Air Force operations. The research of this medication is still going on in order to find out its additional purposes. In one trial, helicopter pilots were given Modafinil and endured 40 hours of sleep absence. Unfortunately, the level of dizziness and nausea was significant. Another study of 88 hours of sleep loss, which simulated a military operation, proved Modafinil productivity and tactical efficiency in combat pilots. 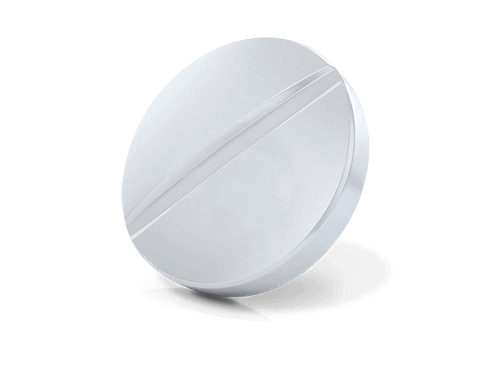 Modafinil was well-tolerated by users with no negative reactions. In 2012, this drug was approved by the US Air Force as the only medicine for fatigue management in soldiers. Dextroamphetamine is no longer used because it still causes a lot of medical concerns due to its potential abuse and subsequent addiction. Modafinil proved to be extremely beneficial and showed significant improvements compared to a group of volunteers who was taking placebo. The Journal of the Canadian Medical Society expressed that Modafinil was consumed by astronauts during long-distance missions at the International Space Station. The medicine helped to control circadian rhythms and optimize fatigue performance of the crew. It was also a great support for astronauts with reduced sleep quality. Military doctors in Maryland (USA) are allowing the giving of Modafinil to law enforcement officials during large-scale and long-term police operations. It improves their focus and concentration and amplifies functioning in conditions of reduced rest. In the United States, all drugs are registered and approved to be used for some particular purposes, but they can be prescribed by doctors for different administration, as well. This usage is called off-label and is widely practiced when taking into account individual patient needs. 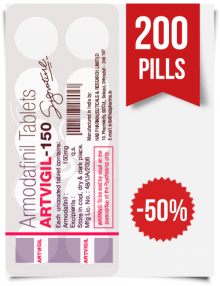 Modafinil can be used without a prescription to suppress sleep needs and increase mental abilities, something which is popular among students and office workers who are eager to do as much work or study as possible for a certain period of time. It is effective for people with shift work sleep disorders. This condition is usually obtained when there is a necessity to work during nighttime hours. Due to these tablets, people who work during night shifts or with a rotating schedule (doctors, truckers, etc) succeed in managing daytime sleepiness. Modafinil helps patients with depersonalization syndrome. It greatly affects people with low excitability of the nervous system, lack of attention, and increased drowsiness. The drug was assessed as a wake-promoting agent to treat hypersomnia and other symptoms of seasonal affective disorder and winter depression. 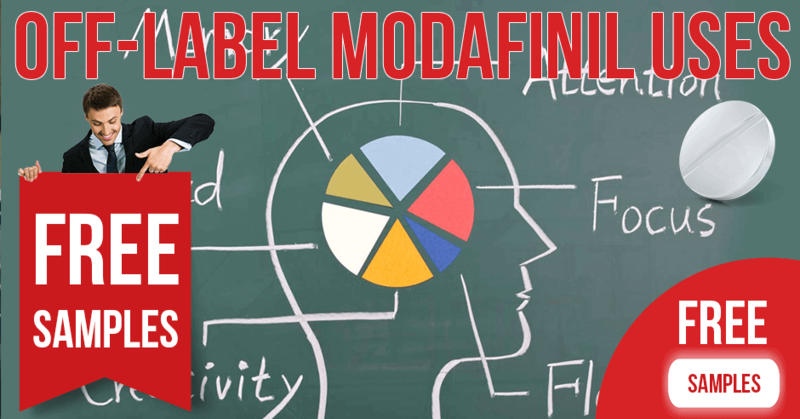 Some off-label Modafinil benefits are not properly studied and its research is still ongoing. Discuss with your doctor the possibility of its usage to avoid possible side effects. Purchase this medication at trustworthy pharmacies like ModafinilXL to get high-quality goods. 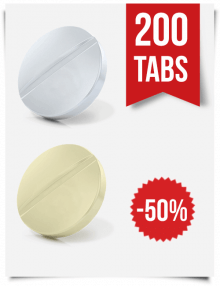 Numerous studies of Modafinil (even in people with healthy weight) prove that it acts as a potent appetite suppressant, which results in significant weight loss. During human studies in 2008, patients with work shift sleep disorder symptoms were treated with Modafinil and showed a reduction in caloric intake by almost 20%. The participants experienced fewer feelings of hunger. Unlike amphetamines, this drug doesn’t cause an increase in heart rate. 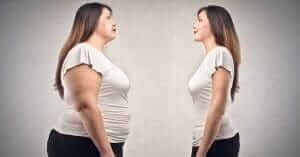 One survey published in the Annals of Clinical Psychiatry portrayed a patient with the weight of 127 kg (280 pounds), who lost 18 kg (40 pounds) within a year due to Modafinil treatment. Anyway, not enough research has been conducted in the field of body weight changes. This medication still lacks the profound scientific background required to be used as an approved agent for overweight people. Modafinil has been also examined as a potential treatment for cocaine dependence. A group of scientists conducted an investigation of the biochemical mechanism of both substances and came to conclusion that the clinical effect of Modafinil is largely opposed to the symptoms of cocaine withdrawal. The amount of positive samples of cocaine in urine was significantly lower in a group of participants taking Modafinil, as compared to a placebo group. Besides, those people reached the maximum number of consecutive days of cocaine non-use. 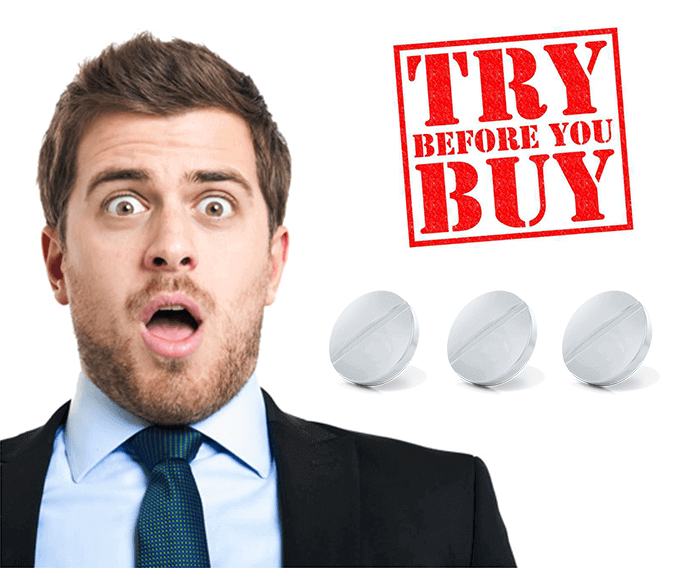 Recent studies demonstrate that Modafinil can help people to overcome cocaine addiction. In conjunction with behavioral therapy, it is very effective for the majority of patients. This medicine enhances the level of neurotransmitter glutamate in the brain, because its amount is depleted due to repeated cocaine uses. By increasing the level of glutamate, Modafinil targets the core of the problem for patients craving cocaine. In most trials, it did help patients dependent on cocaine to abstain. This drug appears to be promising in methamphetamine addiction treatment, helping users to stay off this narcotic. Laboratory studies of Modafinil interactions with brain receptors claim that this element acts as an agonist, which affects the non-dopaminergic mechanism in the brain. 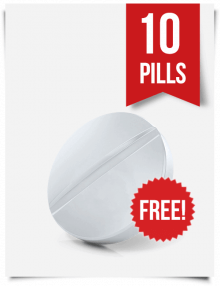 Modafinil is effective in stabilizing sleep patterns in cocaine addicts and those people who are trying to quit it. After the second week of withdrawal, these patients have longer and deeper sleeping times. Numerous attempts to use Modafinil by people who abuse alcohol and nicotine were unsuccessful and didn’t ease the symptoms of their withdrawal. As Modafinil was approved by the FDA for improving fatigue and excessive sleepiness, numerous studies were carried out to evaluate the effectiveness of its usage by bipolar affective disorder. These diseases are characterized by similar symptoms and show negative response to regular antidepressant therapy. In one human trial, 85 patients suffering from bipolar depression were assigned to take Modafinil for 6 weeks. In comparison with a placebo group, they found considerable improvements in depressive symptoms. The rates of remission and response were higher by 40%. Not a single case of mania was registered. Fatigue and cognitive impairments are the most commonly reported complaints of patients that have undergone cancer surgery. More than 60% of patients experience these distressing symptoms either because of a disease itself or of a chemotherapy treatment. The drawback of such therapy is also called “chemo brain,” which is when patients cannot think straight, as if deprived of mental energy. The etiology of these symptoms remains unknown, but they affect the optimal daily functioning of cancer patients who then cannot be relieved even by sleep and rest. Cancer-related fatigue is characterized by persistence, pervasiveness, and detrimental effects on life quality. It should be distinguished from depression because they share similar symptoms. 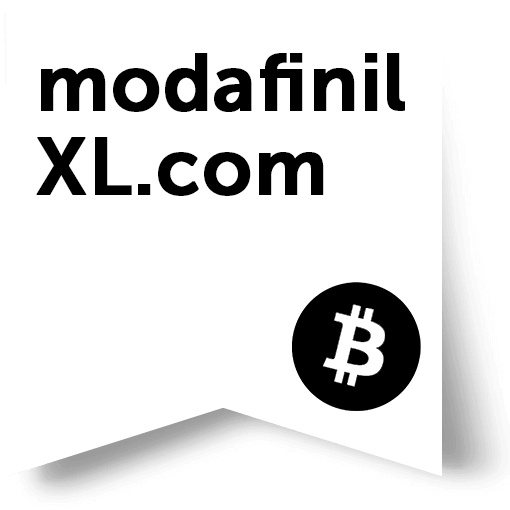 In addition to traditional therapies, like corticosteroids, antidepressants, and psychostimulants, Modafinil is widely used as a wake-promoting agent. Taken even in low doses, it helps people to overcome apathy, depressed mood, poor concentration, low energy, weakness, and decreased cognitive functions. Patients experience improved well-being, alertness, and increased appetite. It is a proven means for memory improvements and for the recovery of mental abilities. Through Modafinil treatment, occasional cases of anemia in some individuals have been discovered along with significant mental improvements. It is important that doctors should use different approaches with each particular patient. The life quality of patients with primary biliary cirrhosis (PBC) is frequently impaired by somnolence and fatigue. The causes of these debilitating symptoms still remain unclear, but certain mechanisms of the central nervous system are likely to contribute. There is a strong association between sleep abnormalities and severe fatigue by PBC. Modafinil shows beneficial effects in therapy of extreme daytime sleepiness in disease states of both the liver and non-liver. A group of patients underwent assessment of their condition by the Epworth Sleepiness Scale (ESS) and started Modafinil therapy. This scale is a short questionnaire intended to measure daytime sleepiness. It rates one’s probability of falling asleep by calculating scores given by answers to eight questions. After two months of treatment, patients underwent a repeated test by ESS and showed considerable positive changes. Modafinil was well-endured by those people and there were recorded improvements in fatigue and daytime somnolence by PBC. Double-blind trials conducted in 2004 demonstrated the efficiency of Modafinil treatment for attention deficit and hyperactivity disorder (ADHD) in children and teens from 6 to 17 years old. The research presented positive results, but the drug caused insomnia and headaches as side effects of the treatment. The users testified that they remained alert and attentive longer with an acquired ability to perform tasks better. The participants showed development of cognitive functions, visual memory, sustained attention, and spatial planning. On the whole, Modafinil lacks serious adverse effects like depression and anxiety typical for traditional stimulants and can be an appropriate alternative to cure ADHD in kids and adults. Even due to various studies, which indicated this drug as an efficient and safe remedy, it was not approved by the FDA for pediatric ADHD. The approval was denied due to medical concerns over the appearance of dermatological toxicity and weight loss in clinical trials. In 2000, Cephalon conducted one trial to study Modafinil as a potential treatment to cope with fatigue associated with multiple sclerosis (MS). A group of participants with a different degree of fatigue severity took different doses of Modafinil during nine weeks. The level of fatigue was assessed by those individuals on their own due to a standard scale. The patients who used the drug felt less tired than people in a placebo group. A larger Modafinil dosage didn’t show a greater result. Still, some medical experts debate a definition of fatigue and a possibility of its assessment. They state, there is no way to quantify fatigue and all methods are rather subjective. Its indications depend on many factors, such as pain, sleep disturbance, psychological disorders, etc. Everyone agrees that it is an important topic for patients with MS, because it limits their activity and causes psychological discomfort. Modafinil and Provigil improve sleep quality and fatigue by MS, but effective strategies for managing cognitive malfunction by MS also need more investigation.